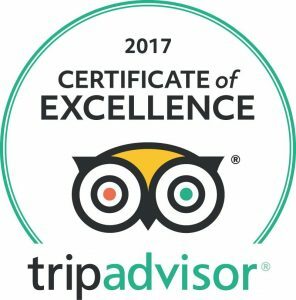 We are pleased to announce that Newcastle Country Inn has been recognized with a 2017 TripAdvisor Certificate of Excellence. This achievement would not have been possible without the great customer feedback and genuine praise we receive on our TripAdvisor page. Thank you to all of our guests who have provided us with a review or rating during the past year. We look forward to welcoming you back to Newcastle Country Inn again soon! Are you participating in the Badlands Gran Fondo this Saturday and need a safe, comfortable place to rest after the big race? Come stay at the Newcastle Country Inn Bed & Breakfast, conveniently located to downtown Drumheller. Call 403-823-8356 to book your room today! Visiting Drumheller this weekend and need a place to stay? Come stay at the Newcastle Country Inn Bed and Breakfast, a clean, comfortable place to rest after a busy day of sightseeing. Call 403-823-8356 for bookings.